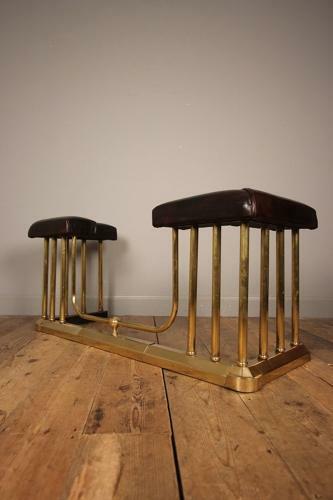 A very well proportioned Edwardain Club Fender, having a brass moulded plinth and rails with a padded brown leather top. This unusual adjustable fender in super condition throughout. Firm standing. English, Circa 1910.